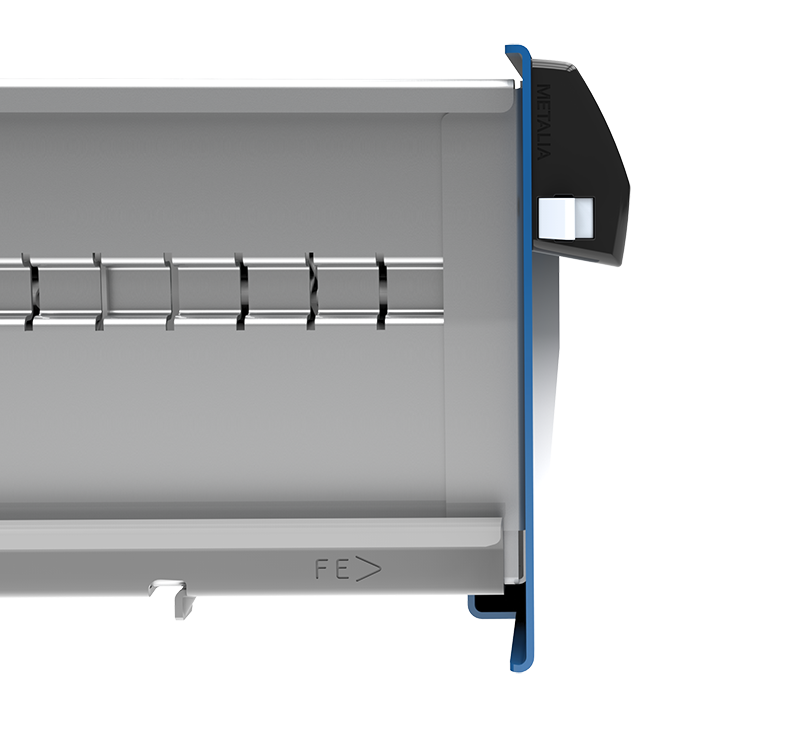 440 LB CAPACITY PER DRAWER10% more than industry standard. Store more in less space. Eliminates deformation of the drawer. Less strain on the unit, improved lifetime. SWISS-MADE SLIDING SYSTEM ON DELRIN® WITH SAFETY LOCK NASA sourced material is used to create the world’s best sliding system. Self-lubricating, maintenance free and keeps its properties in extreme temperatures. Ensures maximum reliability, precision and smoothness for the lifetime of the unit. 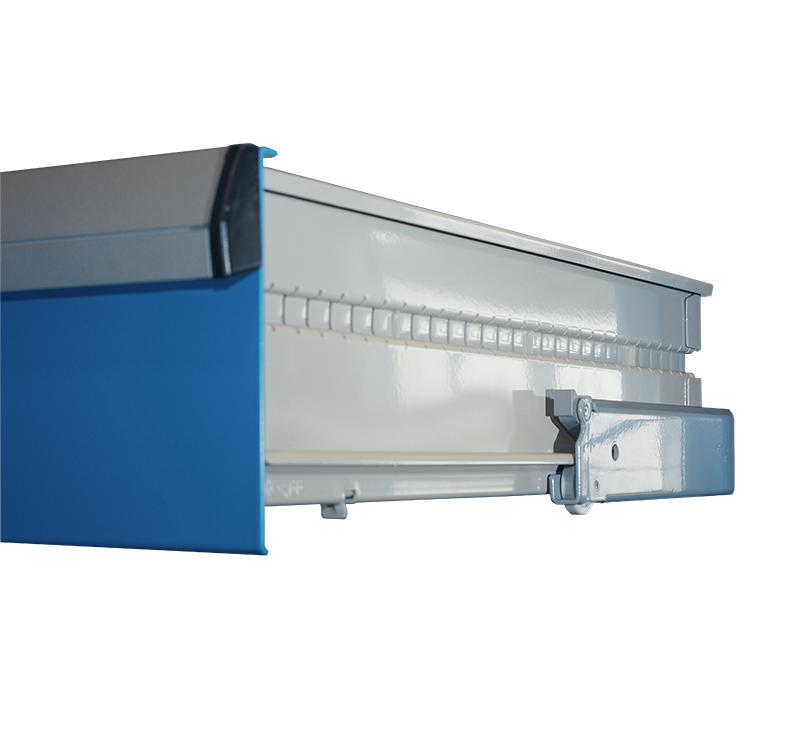 Safety Lock system prevents drawers from accidently falling out of the cabinet. 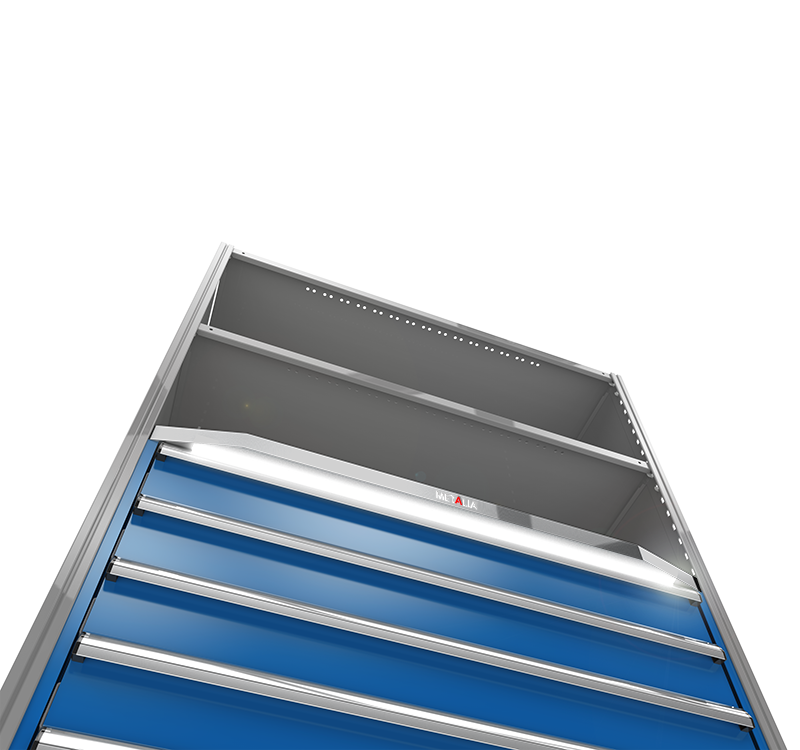 FULL HEIGHT DRAWER SIDEWALLSEvery cubic inch at your service. Prevents items from mixing or falling off drawer’s sides. Maximize your investment by using every square inch available. Available in every drawer height. ROLLED-EDGES DRAWER FACEDurability on the frontline. 14 gauge steel for industry-leading stiffness and rigidity you can feel on every pull. Keeps drawer from bending under heavy load. Prevents wear and extends lifetime. 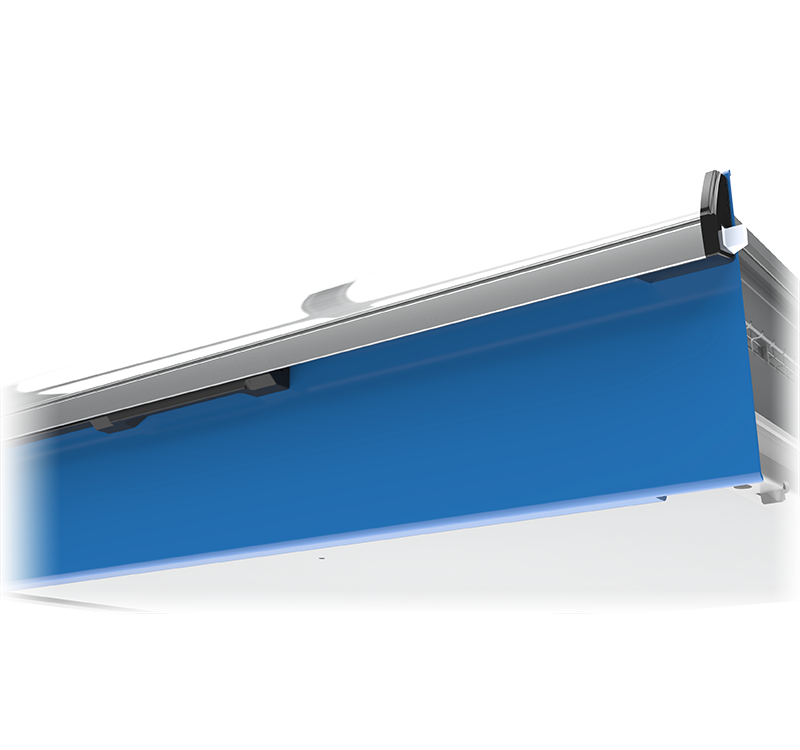 LED DRAWER LIGHTINGFocus on your productivity. Find what you are looking for faster, without relying on surrounding lighting. 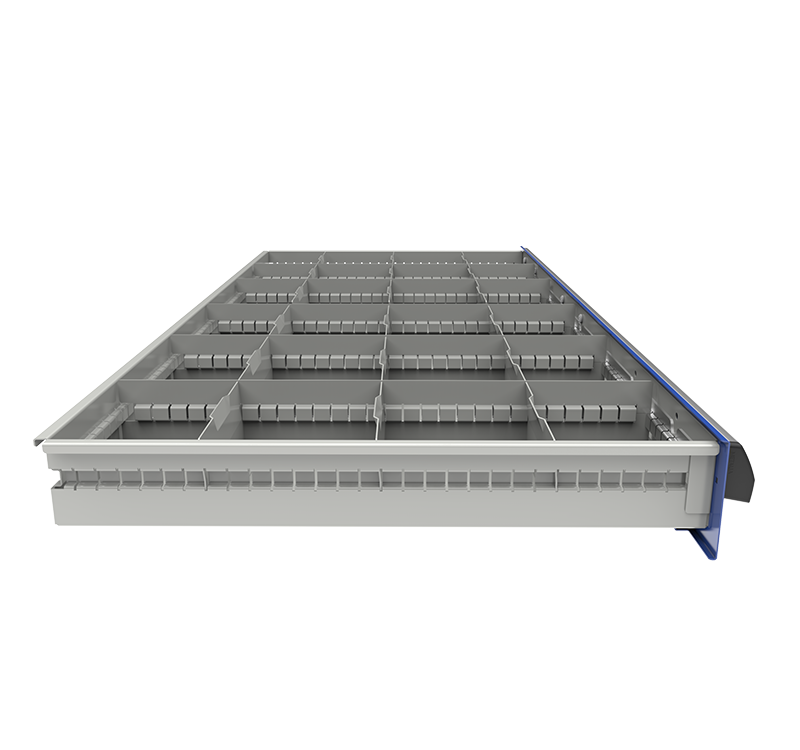 PARTITIONS AND DIVIDERSOrganized to perform better. 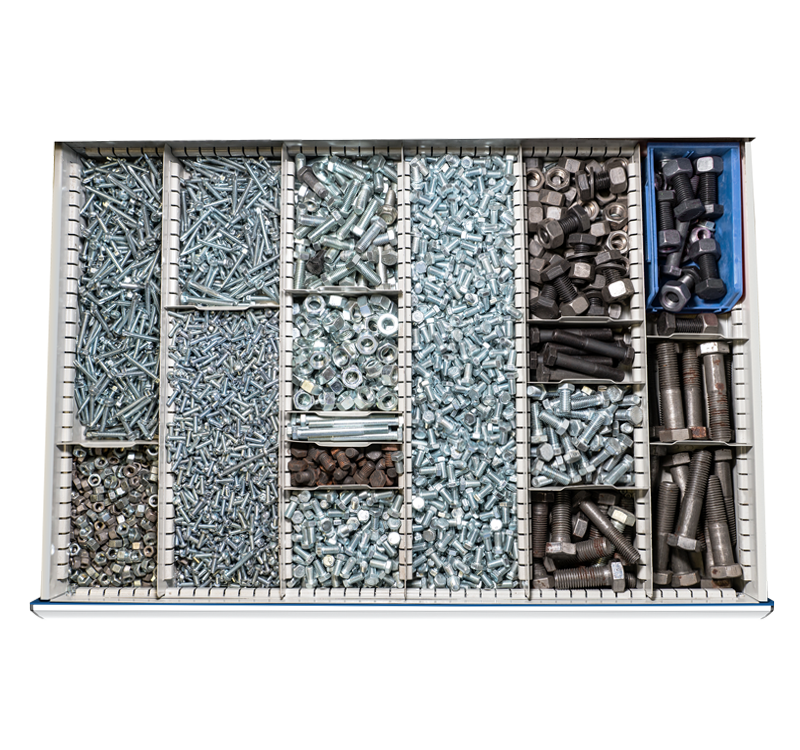 Organize tools and parts of all sizes efficiently. 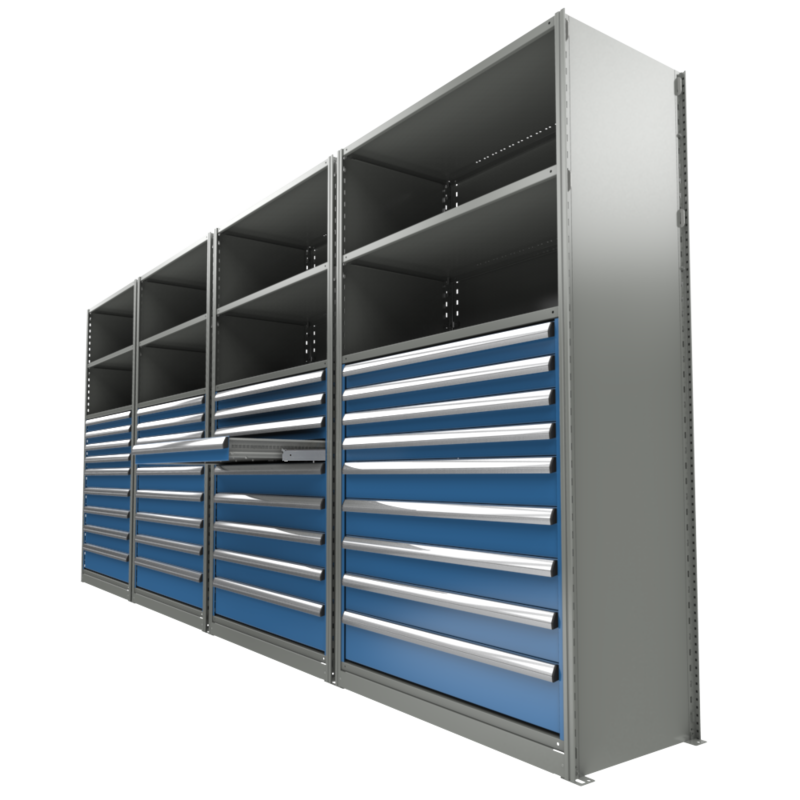 A modular system, adaptable to your evolving storage needs. Ultimate durability, superior to any other storage method. 100% OPENINGEasy access and control over what matters most to you. Use the full depth of the drawer. 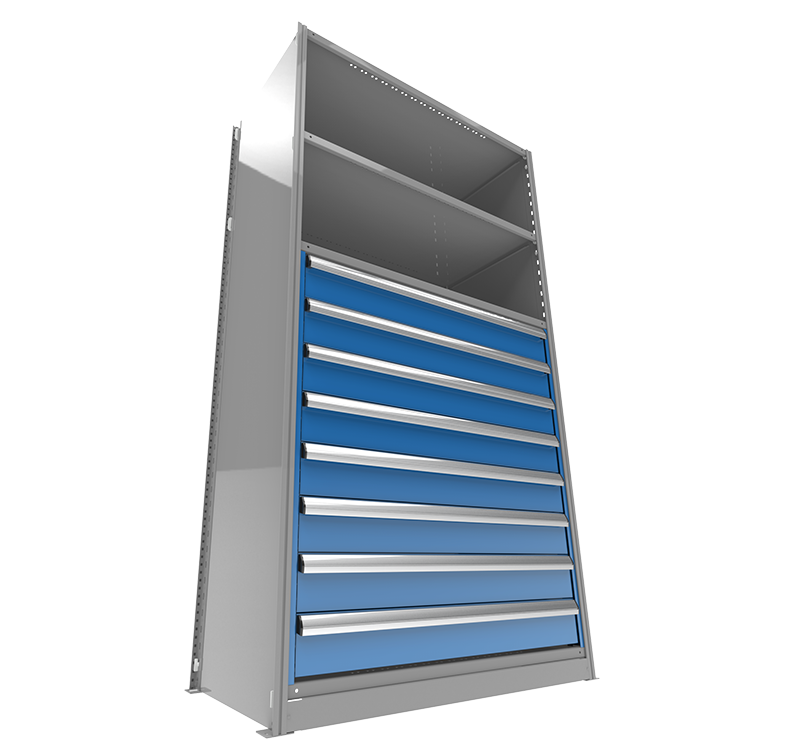 Easy access to the longest tools and the most cumbersome parts. 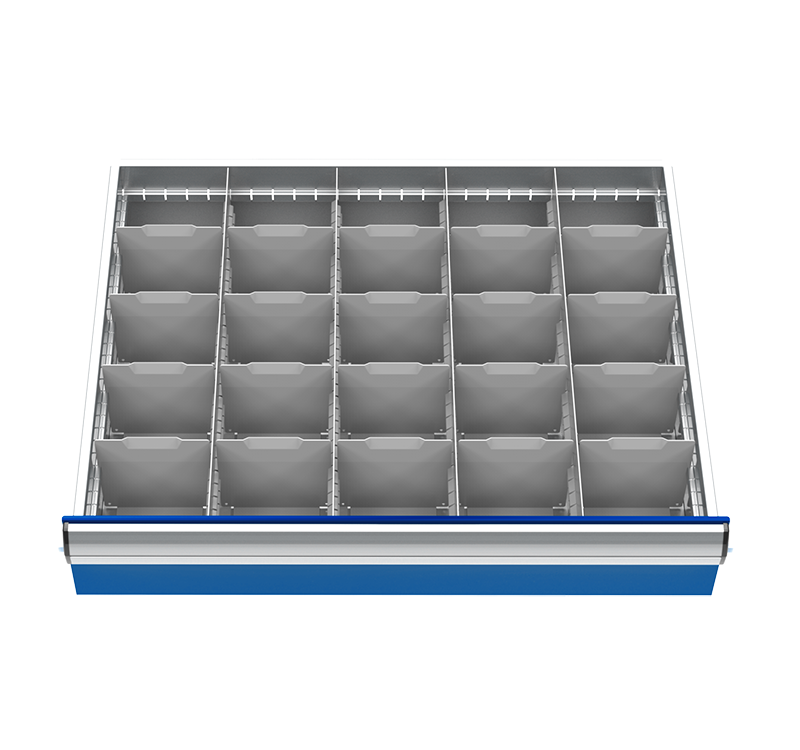 Full visual inspection of your inventory minimizing waste and unnecessary purchases. ERGONOMIC DRAWER HANDLE WITH PATENTED DESIGNQuality you can feel. Eliminate the risk of snagging with this unique patented handle flush with housing. 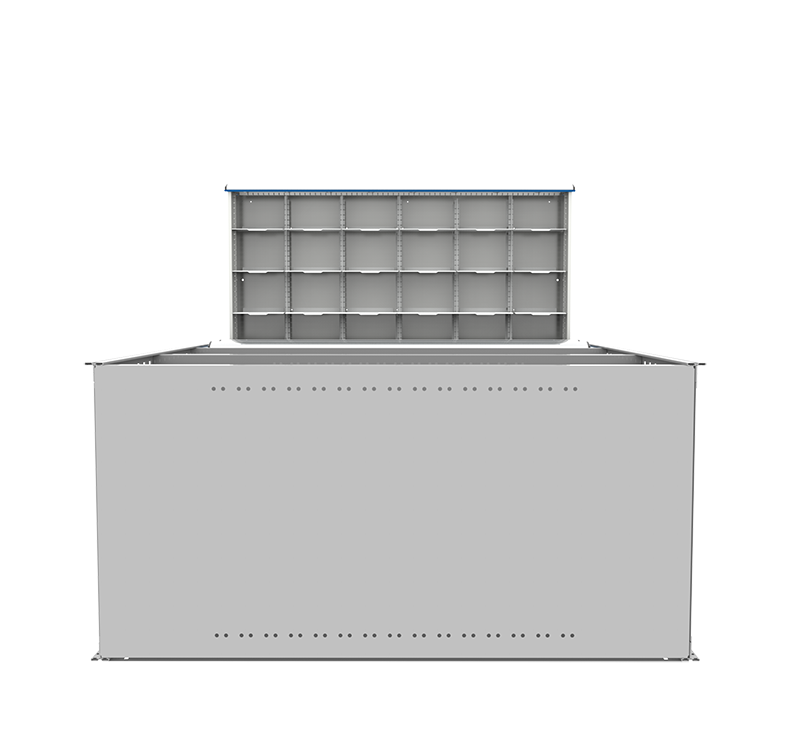 Robust aluminum construction, modern design, improved looks. Available with a heavy-duty lock-in mechanism. UNIQUE POWDER COATINGGreat look, durable, amazing protection. The best protection against scratches, abrasion and corrosion. Ensures a top notch look for the lifetime of the unit.